Now it’s getting serious for the VW Polo GTI! 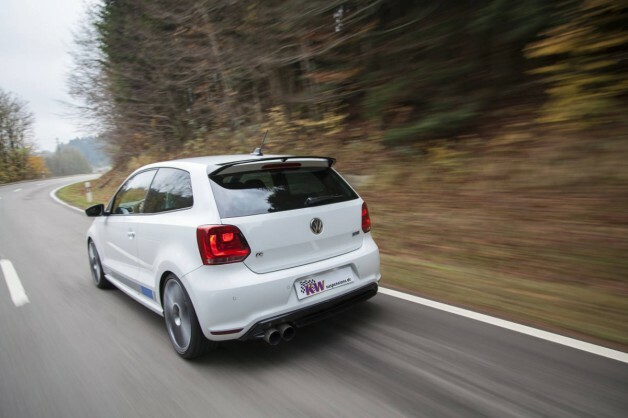 With the Polo R WRC, Volkswagen has extended the series of the Polo model by a high-performance version. For the already in Europe launched special edition, KW has already five coilovers available, from Variant 1, 2 and 3 up to the comfortable Street Comfort or the track day suspension kit KW Clubsport. All KW coilover suspensions are manufactured in stainless steel and allow a German TÜV-tested lowering within a continuously adjustment range of 15-40 mm on the front axle and 20-50 mm on the rear axle. 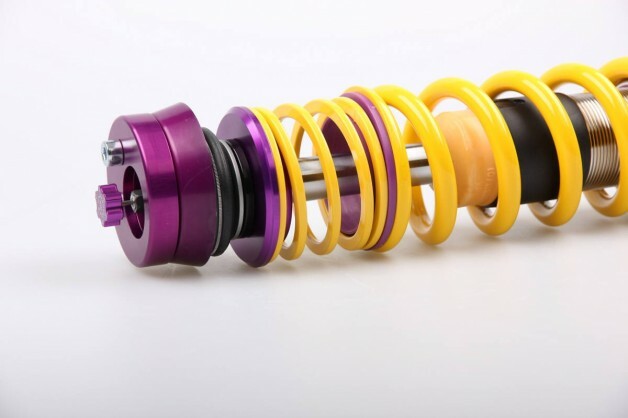 While the Variant 1 has a factory-set damping adjustment, all other KW coilovers can be adjusted either in rebound damping or compression and rebound or even in camber, depending on the version. The VW Polo R WRC is the most powerful Polo ever and with its 220 hp, it even outclasses the VW Polo GTI. In about 6,4 seconds, the “Street-WRC” reaches a speed of 100 km/h and the fastest it goes is 243 km/h. 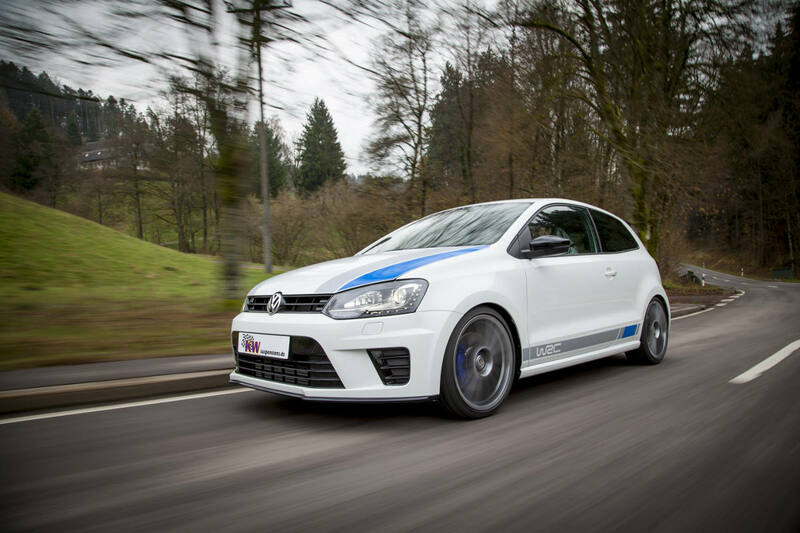 To be able to control the Polo even more directly at the limit and to still allow an individual lowering, KW has developed various coilovers made in stainless steel. 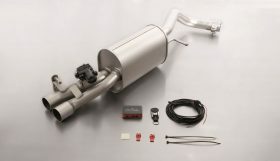 Depending on the variant, these kits allow a German TÜV-tested lowering with a continuous adjustment range of 15-40 mm on the front axle and 20-50 mm on the rear axle. 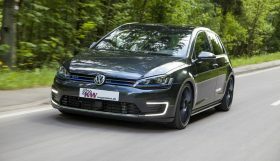 “As with all of our coilover suspensions, the continuous lowering are made directly on the stainless steel strut via the dirt-resistant trapezoid thread or on the rear axle height adjustment of the Polo”, explains KW Product Manager Johannes Wacker. “Through our damper setup that we have developed in numerous road tests, the KW coilovers for the Polo R WRC have even at maximum lowering and depending on the wheel / tire combination an excellent remaining driving comfort.” Our well-known KW Variant 1 has a factory pre-set sporty – harmonic damper setup while the KW coilover suspension Variant 2 allows to adjust the dampers in rebound force with 16 exact clicks to further meet the own driving demand. The KW coilover suspension Variant 3 combines the perfect balance of everyday practicality and sporty driving dynamics with similar settings as in motor sport. The patented valve technology for the separate compression and rebound adjustment is based on developments in racing. The rebound damping which is adjustable with 16 clicks allows considering the change of series wheel-/tire-combinations. With the separately compression damping that is adjustable with twelve clicks, the driving dynamics of the Polo R WRC can be further influenced regarding handling, tire type and grip conditions. Those who drive their 220-hp Polo demanding, will notice it immediately. As well as the fact, that the Variant 3 even in basic setup ensures an increase in steering precision and track loyalty. “Even sportier is our Clubsport development for the Polo R WRC” said Johannes Wacker. 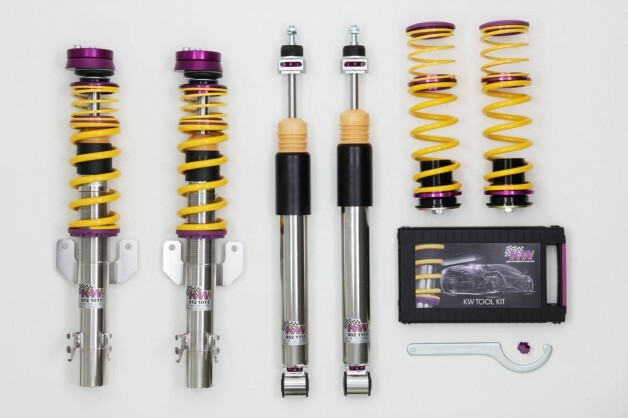 The KW Clubsport 2-way coilover kit includes top mounts and is very interesting for the amateur sport and drift use. It not only differs from KW Variant 3 kit by the top mounts, but also by the combination of high-performance dampers for the use of semi slicks and racing springs. The damper click adjustment is integrated fix with an adjustment wheel, just like at the Variant 3, to be able to adapt the dampers without any tools. 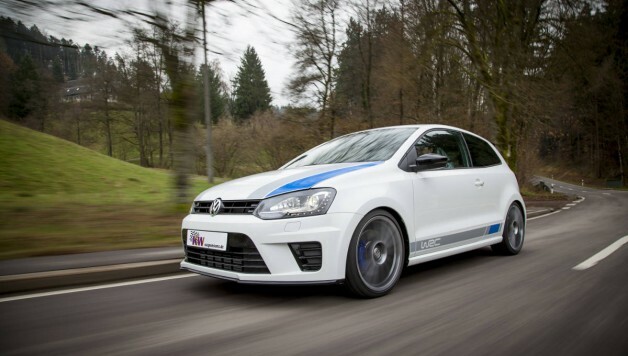 For drivers who are not satisfied with their Polo R WRC in combination with low-profile tires, the sporty series setup and with the long-distance comfort, the Street Comfort coilover kit is the ideal alternative for the Polo. “The spring rates and the dampers are characterized by a comfort oriented setup”, explains Johannes Wacker. “Despite the increased driving comfort, the Street Comfort allows a direct handling.” Also as Street Comfort version, the KW coilover suspension has an adjustable rebound adjustment that allows to adjust the damping characteristics even more comfortable or stiffer. 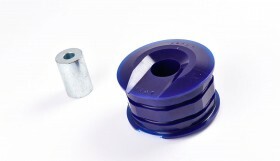 The continuous lowering can be adjusted in a range between 0-15 mm at the front and 0-25 mm at the rear axle.